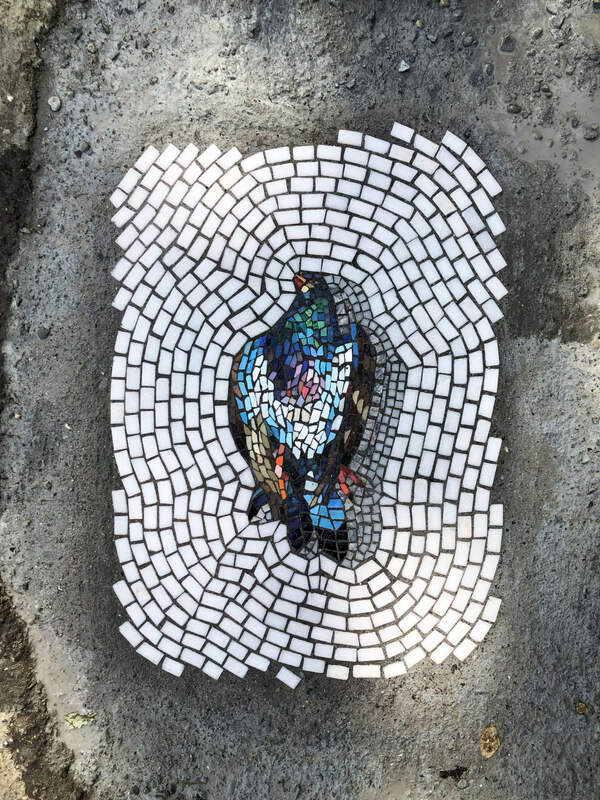 Meet the pothole mosaics, a new trend in urban art! “I like to contrast the idea that potholes are universal truths. Everyone hates potholes and pretty much everyone loves flowers, or loves junk food, or loves ice cream novelties from when they were kids”, says Jim Bachor, the man who has been “redecorating” potholes around Chicago for the past five years and everybody seems to like it, apart from the Transportation Department who seems to have another opinion. 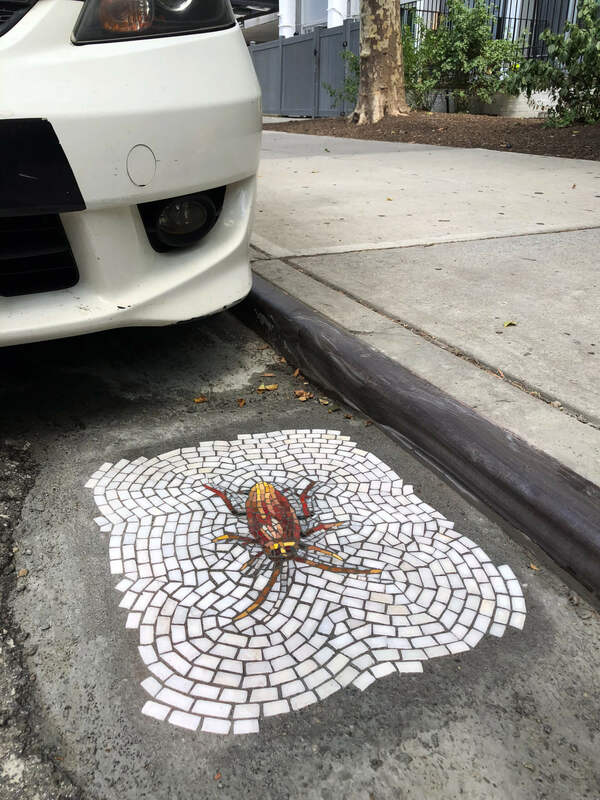 “Aside from putting himself in harm’s way in the middle of roadways, the artist’s adding of artwork in the street is a danger to all road users, which poses safety hazards should drivers become distracted by the art” – Alana Morales, spokeswoman for the dept of transportation. Anyways, what Jim is doing is truly amazing. 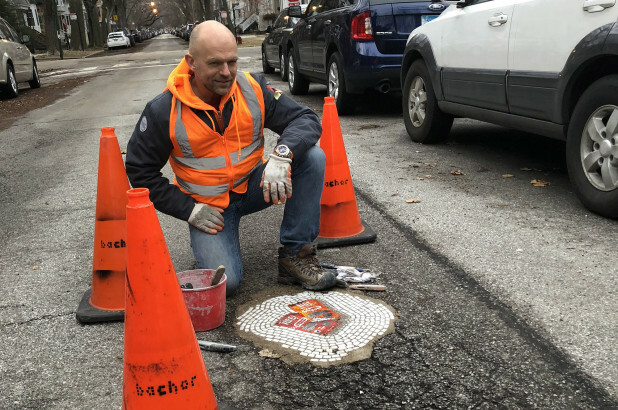 He started filling potholes with art back in 2013, after a particularly bad “pothole season” in his Chicago neighbourhood. Bachor has filled potholes around the world. 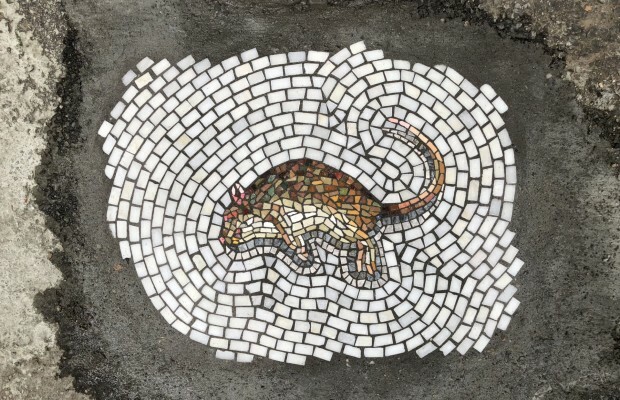 Most of his mosaics are funded through campaigns on Kickstarter. His most recent project was a 5-part series in New York City. “It was called Vermin of New York, you know, New York has a lot of great things about it and why not address some of the things that everyone complains about just because I think it’s funny. A dead pigeon, a dead rat, and then I did one of Trump, and then I did a dead cockroach, and then I did a bouquet of flowers just to kind of say it’s all in fun. I mean no harm”, says Jim. Jim chose mosaics because he’s blown away at how durable they are. His creations are both a solution and a type of art. 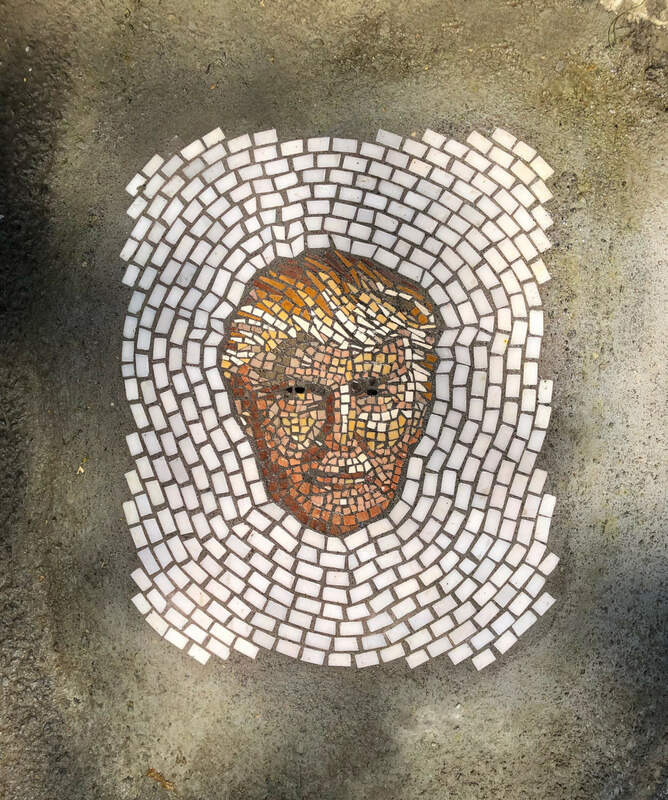 Someone’s got himself a mosaic pothole with his face on it! ← Previous Story When rain makes art: this is Seattle street art that appears only when it’s wet!